As you recover from your Thanksgiving feast and prepare for the insanity of Black Friday tomorrow, check out the great deal Amazon has on the Nest thermostat for $199. 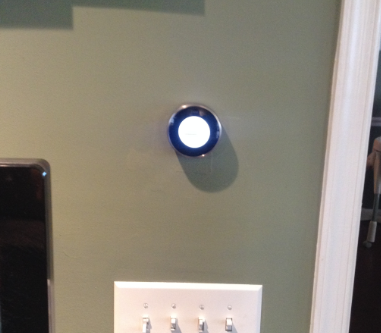 I love my Nest Learning Thermostat and how it integrates with the Nest Protect. It is super easy to install and has already save us a lot of money on energy costs. Nest integrates with the SmartThings Hub and looks fantastic on the wall.